Just as with the Arne Jacobsen’s watches, the leather straps are carefully chosen to create a perfect entity. The colors of the watch straps are available in a selection colors that Arne Jacobsen used in his design. The leather straps are made of hand-selected Italian calfskin. Just as Arne Jacobsen's watches, the straps are carefully designed to create a perfect totality. The colors of the watch straps are available in a wide selection of the colors and materials that Arne Jacobsen has previously used in his furniture and textile designs. It gives a unique opportunity to create your own personal expression without compromising. When you as a woman carry a watch, you signal an awareness of style, class and charisma - you have made a choice about what style you want to wear and that it matters to you. 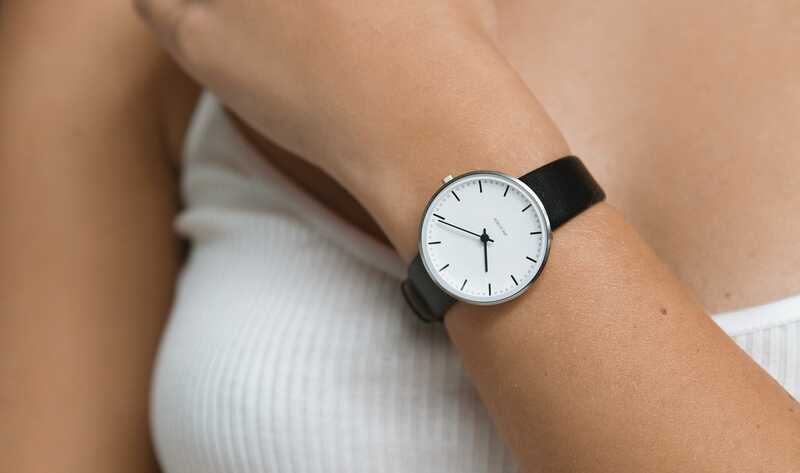 Arne Jacobsen Watches offers a large and wide selection of women watches with leather straps. We deliver simple, stylish and timeless high-quality watches, where you get a lot for your money. You can wear all watches from Arne Jacobsen Watches in everyday life and to party. It does well in everything from blouse and jeans to when you jump in the business clothes or in a dress. Arne Jacobsen leather straps are made of specially selected Italian calfskin, which is extremely comfortable to wear on the wrist. The black and brown leather straps are safe classics. True to Arne Jacobsen's choice of colors in his designs, the straps are also available in blue and red. If you do not necessarily want a leather strap, we also have a large selection of straps of the finest mesh quality in the colors silver, black, gold and pink gold and the newest member Bangle.